Zebra Technologies has introduced its Zebra RZ400 and RZ600 UHF RFID Gen 2 midrange printer/encoders. The RZ series is intended to offer broad functionality at relatively low costs, making the products well-suited to lower duty cycle EPC Gen 2 RFID compliance and closed-loop RFID applications. Zebra developed its RZ Series to enable smaller suppliers to large-scale retailers such as Wal-Mart, or companies just getting started with RFID implementation, to comply more readily with RFID tagging mandates of their customers. 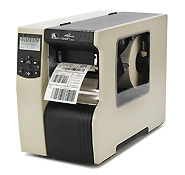 The printer/encoders can also meet the U.S. Department of Defense’s case-and-pallet labeling requirements. The RZ Series will be available in the U.S. this summer and internationally later in 2008.